There are enjoyable ways when earning extra money online. If you like to write, work, and share your thoughts with the online community then you will enjoy making money online. Indeed, the internet can be a wonderful way to make extra money. It may not be a huge income, but the fact that you are in the comforts of your own home, without any boss or manager telling you what and how to do your work, then it is already a fulfilling job. You can even earn rewards just by using the Bing browser by Microsoft instead of Google or Yahoo. I had been working as a high school teacher and later a principal for 9 years but decided to quit my job in 2006 when I got married and had to take care of my family. I tried to pursue freelance writing online, and started to look for other sources of income to supplement my writing. I found ways to earn money in order to make a little spending money as a stay-at-home mom. I had learned that if I bring in small amounts of income from various sources online, then those multiple earning venues could become my part-time job. If you love to take beautiful photos, an artist, or a graphic designer, you can get paid simply for doing what you really like to do. 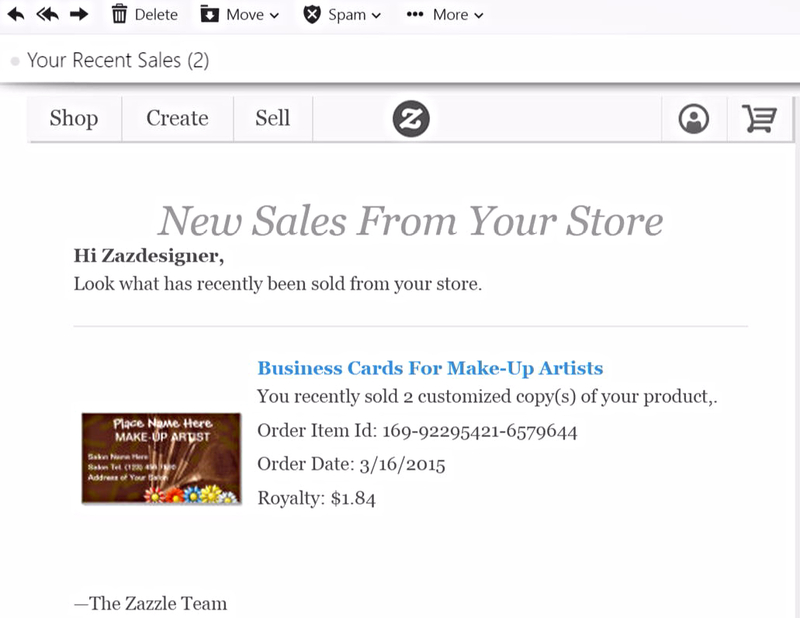 Zazzle is a free marketplace that allows you to sell your photos or artwork to millions of online customers. Simply upload your photos or designs on any of their products and they will do everything else from printing, shipping and handling for all the customers. They have different products like t-shirts, mugs, business cards, posters, stickers and more items for you to add your own designs. You can easily set your own royalty rates and it is totally free to join. Their Designer Program works so easy and once you upload your artwork and designs onto their products, it is done. All you have to do is leave those designs you had created on their website until a customer will like one of them and decides to purchase it. The nice thing about it, is that they process all the transactions and handles the customer service. They do all the advertising too. They will inform you through email that you sold something from them with the design that you had created and how much royalties you had received as a percentage of that particular sale. It is also easy to understand how their Pricing System works. They give you the freedom to set your own margins and decide how much you will earn from each sale. You can select any royalty rate starting from 5%-99% and if you decide to receive a little bit high from your royalty rate, they will also increase the product price in order for you to earn that royalty. It starts from the base price plus your royalty percentage equals the retail price. If you want to get started with them, all you need to do is to create a free Zazzle account, and set up your free Zazzle store where you can showcase all of your designs to millions of shoppers worldwide. If you already have any beautiful photo or had created a particular design, you can select a product that you want to add this design to. Next is to upload your image or create texts using their design tool. You can also easily arrange and resize the different elements of your design. The last thing is to post your design for sale and add keywords to it so that it is easy for your buyers to look any items that they want to buy. You are now ready to make money each time your design sells. You don't need to manage any inventory in your house, hassle of fulfilling orders or dealing with customer service. All you need to do is to create designs and they will do the rest for you. Money Makers Program will let you earn money by looking and sharing great deals and coupons. There are many online stores with sales and clearance categories on top of their websites and all you have to do is to subscribe to each of them so that they can send you deals and coupons directly to your email address. You may open another email address for this program only. With Dealspl.us adding the Money Makers Program to their site, bargain hunters or deal-savvy shoppers will not only save money when they buy something online, but also earn money by sharing their coupons and deals with others. The online business is growing so fast and creating your own website is like building a home in the internet world. If you have a passion or hobby that you are good at and wants to share it with the online community, this valuable information can earn you money in the long run. Building a website is easier these days and you do not need to be a programmer to have one. You can fill your own website with unique ideas through writing (content) and soon it will build traffic by attracting readers to it. In order to build a website, you'll need a host like GoDaddy.com, Hostgator.com, Fatcow.com, Yola.com or YahooWebhosting.com. When you can select the best host for your own website, you can start posting your written articles, pictures, videos, and various items for sale if you have some or whatever you want. Publishing your own website will offer you the potential to make money online from the following avenues below. You can become an affiliate marketer where you can earn commissions by promoting any business company's products. For example, if your hobby is about cooking or gardening, you can also find products in connection with this hobby which you'll add and promote in your blog or website to others, and therefore earn a profit or commission for each sale that the product makes. This is wonderful because you do not have to sell physical products and have a lot of inventory at home. Those affiliate advertisements are generally incorporated into the pages of your blog or website through your informative articles or videos. You can also become an affiliate marketer even without a blog or website by simply posting videos on YouTube which have links to the product that you want to promote and collect passive residual income. You can easily upload YouTube videos and receive commissions for advertisement views from Google Adsense. You do not need to buy an expensive video equipment. Any digital camera or even the video from your tablet, phablet or smartphone is already great to upload informative videos. Just make sure to have ads to display before any of your video to play so that you can receive a small profit for each ad click or video view. Businesses are eager to pay a percentage of sales that you generate via the internet especially that a lot of people own portable gadgets and high end mobile devices nowadays. There are also websites that are very mobile-friendly like DudaMobile. With a website or blog, you can also become an Amazon Associate where you can earn money by adding affiliate links from different products that are offered by this huge marketplace once your application gets accepted. So if a visitor views your website or blog and clicks through your Amazon links, you will earn commissions from Amazon.com on any product bought and it will show in your Account Earnings Summary and Report. You can also place Google Ads on your blog or website too. If someone clicks on any of the ads, you instantly get a commission for every click and this can add up every month. The more pages you have on your blog or website, the more earnings you may be able to receive and you can enjoy what many called as passive income. The passive income will really start small, but if you love what you do, it is enjoyable and if you post something of value to your online visitors, your cash flow will increase because it can invite internet guests looking for a particular information. Placing Google AdSense ad links can be a good way to monetize your website. The advertising platform from Google is very simple and once you sign up, they will guide you step-by-step on pasting those advertisement codes on your blog or website. Earn money by promoting affiliate marketing programs through FlexOffers.com. They are legitimate and a good place to start if you are searching many affiliates for your ads. New website owners or bloggers are easily get accepted through their program including big and small companies. It is easy to get customized banner ad links, text links and more. I do have a combination of affiliates where I earn a little every month coming from Google Adsense, Commission Junction, FlexOffers, Viglink, Amazon, Ebay Partner Network, Impact Radius, etc. I highly recommend Flexoffers and if you want to know more about their program, you may read this article for more information: New Publishers Can Make Money from their Websites through Flex Offers Affiliate Marketing Network. My monthly income could go high or low and is only dependent upon the activities coming from online visitors and shoppers that visit my website where I can earn a commission from these programs. Honestly, it is not a lot of money, but simply enough for the enjoyment of the work that I do and to maintain my website. It is residual so it means that it is recurring because the ads are already placed and your work was already done. You do need some updating work to do from time to time if you think that it needs a little updating. If you do not want to publish your own website, you can also write for blogs and news sites although these will require application and approval from editors. I used to work for a website where they accept writers and get paid every month but when they closed down their writing site, I had to republish again my articles because I decided not to sell them. I highly recommend creating your own website because it's more enjoyable and fulfilling. You can create a profile for free and get hired for various categories as a freelancer such as IT, Web & Mobile, Design & Multimedia, Translator, Office & Admin, etc. Business companies post jobs and freelancers bid on them, where they list their experience, portfolio and the price they are willing to charge for that particular job. Once your bid is chosen, you will also pay them a commission of what you shall earn. Elance is an example and they are a legitimate business where a lot of companies go to find, hire, collaborate with, and pay talented freelancers from more than 180 countries. 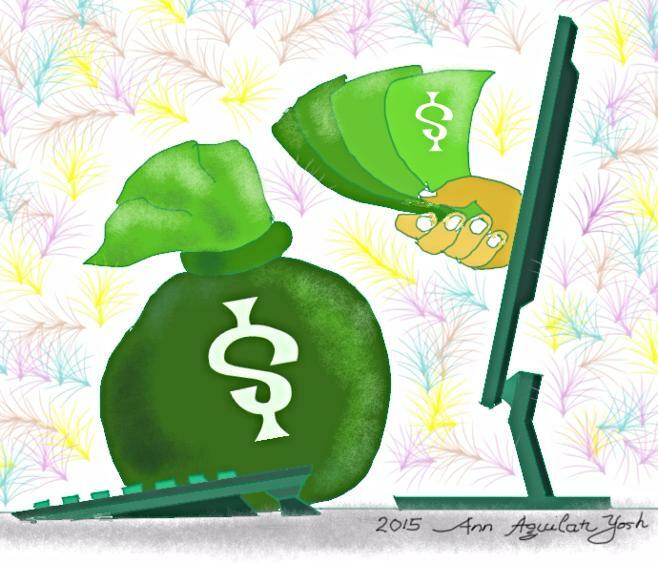 Freelancing with them can earn you extra income online. If you are good in writing and also a social media marketer, translator, or whatever you are good at, then you can apply to earn extra cash. Earning extra money online as a freelancer is challenging but also very rewarding. Many freelancers provide their services to clients instead of working for only one company or employer. Many receive full pay without any taxes withheld although without extra benefits or health insurance. You have to file your own income tax return from what you receive as an independent contractor. You have the option to raise your rates especially if you already have written in popular magazines or newspapers. FreelanceWritingGigs.com is a good website to check for freelance jobs available. 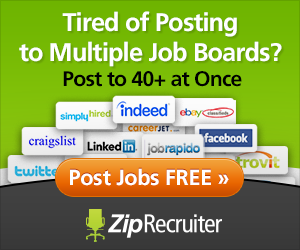 It refreshes everyday with their new posted contract jobs and writing offers. You can check it early in the morning or preferably very late at night so that you will have a lot of options to choose from with their categories ranging from blogging, editing, writing, proofreading, and more. Another freelance work opportunity website is Freelancewriting.com. They have similar categories just like Freelance Writing Gigs and their website refreshes generally twice a day around 11 A.M. noontime and at 6 P.M. in the afternoon. They have moderators who will research and choose those writing offers usually coming from known job websites like Monster.com, Indeed.com, etc. You can check their "View Today's Online Writing Jobs" if you only want to look for the latest jobs for the day. There are also freelance bloggers. Many of them earn less than magazine writers but freelance blogging can still be a wonderful and fulfilling work. Freelance blogging is writing blog posts either for your own blog or other blogs and online businesses. A lot of blogging websites are owned by individuals nowadays and the younger generation can easily make a good passive income by simply publishing one online and talk about the new trends and among other things. If you do not own your own blogging website, the pay generally ranges anywhere from $15 up to $150 per blog post and this will also depend on whom you are writing for and how detailed or long the post will be. There are some bloggers who make thousands of dollars per month but the majority of bloggers are probably making only a few hundred dollars or more. Blogging can be successful after a period of time with a lot of dedication and hard work. It needs to grow overtime and you can make money until about a year or more because building a blog needs a lot of articles or videos that can attract online visitors. If you can hire many writers for your blog, it may do very well possibly within only 3 up to 6 months. Profitable Blogging: Not a writer? Not a problem! Rent your own home. There are homeowners around the country that are seeing some ways to make huge profits by renting out their homes. Earn up to $42k a year by renting out your property on HomeAway.com. Vacationers like to save and stay in a home so if you have a second home or have close relatives nearby that can accommodate your family while renting up your space for short periods of time, then you can make some big cash. As long as you own your home, you can rent it but prior you begin to accept bookings, check your local laws for short-term rentals. Local laws can vary from each place, so make sure to meet certain guidelines and permissions before renting your own house. You also need to check with your insurance company to make sure that you're covered in case of any accident. Purchase domain names. Buy and sell domain names online. They are now the real estate of the worldwide web. Businesses will be willing to pay for them if you have the domain name that they are really eager to own in order to establish their presence online. Some people are making a lot money through this type of venture. Some of them will buy domain names from websites like GoDaddy.com, or Hostgator.com and simply purchase a generic domain name like "myphotograhy.com." Each domain name may cost you less than $12. You can check Yahoo or Google Maps, and look for "photographers". There will be a list of photographers in various places that will come up through your search and if they have an email address or any contact information, you can contact them and ask if they or someone they know would like to buy the rights to the domain name that you currently have. You just need to be careful whom you are dealing with. Local businesses that have no online presence yet, are generally the ones who are willing to pay more for a good domain name. So if you bought a domain name for $12 and sold it for about $200-$500, and you can sell more often online, then you would make a lot of money within a year. Ebay is joining a huge and diversified community of individual buyers as well as sellers, and businesses. It is the largest online marketplace in the world with million active sellers who are selling billions worth of goods each year. Ebay is one of the best venues where you need to consider if you want to sell used or new items. The work that it takes to build up a reputation is challenging at times but also very rewarding especially if your buyers will give a positive feedback because they were happy with the items that they had bought from you. Some people are good in buying bargain items and they can make a lot of money by simply reselling them. They also search for deals online, at yard sales, or clearances at retail stores or outlets. You can visit Ebay and start selling today. The website itself will guide you well on how to sell your used or new items that you no longer need. Personally, I had enjoyed selling on Ebay. Amazon has a marketplace too for professional and individual sellers. You can decide what you want to sell and as a new seller, you can sell at least 20 product categories. If you choose the Professional Selling Plan, you can apply to sell more than 15 additional categories. The Professional Plan is good if you are planning to sell more than 40 items per month. If you plan to sell just a few items, you may consider the Individual Plan. A lot of sellers with Individual Plans are also selling used and new items just like Ebay too. Amazon will help you get your account up and running as fast as possible once you register as a seller. Just like Ebay, the website itself will guide you step-by-step on how to sell your used or new items. There are so many things that anybody can sell online whether on Ebay or Amazon . A lot of people know how to post an item and sell it but others just don't have the time to do it. Of course, they still want to earn extra cash from their belongings but you can also earn with them if you are willing to do the work that they have no time to do such as taking pictures of each product or item, posting them on the above mentioned known websites, and communicating with the potential buyer in order to have a portion of the sale. It depends upon your price arrangement and you may charge a percentage probably about 15-25 percent of the sale price or a flat fee per item. It is easy to start with this endeavor. You can simply contact your family members or close friends who have so many extra stuff usually placed in their garage. You can just inform them that you're currently posting some items online, and inquire if they have something that they no longer want or use that you can also sell along with your stuff. If you enjoy not being restricted from a Monday-Friday especially with a 7am-5pm type of schedule, then Alpine Access may be right for you. The advantage of working from home is being able to be with loved ones when needed and have a flexible schedule. You can save too because you do not need to buy more clothes, pay gas and expensive daycare compared to the traditional outside-the-home work. With the technology that we have today, many retailers are outsourcing their customer service operations to those third-party companies like Working Solutions, Live Ops, and Alpine Access. At Working Solutions, you are classified as a self-employed contractor and generally, those known traditional employee benefits, like paid time off and health insurance, can not be offered to you although the main benefit is the ability to schedule your own work hours and the convenience working from the comforts of your own home. You may typically work from 20-40 hours a week, taking calls for large and small business companies and the hourly rate is about $9-$30. Other companies offer some incentives and bonuses including benefits like health and dental insurance plus matching 401(k) plan so you need to check the company first of what they are willing to offer. The kind of job that you usually do is to help customers with sales, service and technical support transactions. You will interact with customers over the phone or online through chat sessions and email as a Customer Care Professional. As you advance your position, you can become a Trainer to Recruiter. If you enjoy talking with people and resolving their issues working from home then this may be a good choice for you. There are people working part-time at home with customers on a one-to-one basis over the phone, voice, chat, email, text or social media instead of working in a busy office or retail environment. These companies never charged people to apply for work and you shall be interviewed by a recruiter who is friendly and professional. As a customer care professional, you will be matched with the right program for your skill set and experience, and will be trained to handle the specific call types associated with that program. In addition to this listing, you may also check Virtual Global Office (Work-at-home Jobs from Amazon) , Global Online Jobs at The Smart Crowd as well as Click Worker - Virtual Workforce on Demand Worldwide. Do you like to provide care to others? Are you an experienced nanny or babysitter? If you were able to answer yes to one of the questions above, then Care.com is the place that you may want to earn extra money. You have an option to care for kids, older people or pets that you want to offer care for. Care.com is an online service but they do not employ, recommend or endorse any care provider or care seeker nor they are responsible for the conduct of any care provider or care seeker. They only provide necessary information and tools to help care seekers as well as care providers in order to connect and then make informed decisions. Once you join as a care seeker, you need to establish a great reputation so that you attract more customers. People are so careful nowadays and trustworthy babysitters are in high demand and they can earn from $10 up to $50 an hour. At Care.com, caregivers will be given ratings and reviews so the higher your ratings and reviews are, the higher the demand from your services too. You can set your own cost and the availability of your time once you join Care.com and then start earning extra income. At Care, each individual is solely responsible for selecting an appropriate care provider or care seeker for themselves or for their families as well as for complying with all the applicable laws in connection with any if ever there will be employment relationship that they shall establish. I have no experience in care giving but I had read online that people who tried this website had earned about $500-$2,000 a month. Care.com does not provide medical advice, treatment, diagnosis or engage in any conduct that requires a professional license to both parties, so the care seeker or care provider should be very careful when dealing with people on this website. A lot of artists, designers and photographers from around the world like to create, work and earn. You can submit vector illustrations, photos, videos, or music to sites like iStockphoto, Shutterstock, Dreamstime for your high-quality image and as the artist who contributed it, you'll get paid through royalties. You can join in for free, sell your original content that you own and earn extra money for it. This is a good way to receive extra cash while doing an enjoyable hobby. You also have to list the right keywords for your submissions so that customers may be able to look for them via keyword search. Once you have a good amount of work posted, they could also start to accumulate a little amount for your passive income every month. If you are the exclusive author of every file that you uploaded and own or have authorization for all the rights to these files then you can license your beautiful photos taken to legitimate and known microstock agencies such as iStockphoto, Shutterstock, Dreamstime or Fotolia. Shutterstock provides digital imagery licensing, operates in more than 150 countries and 20 languages. They connect creative business professionals with the quality photos, vectors, illustrations and videos from contributors around the world. If you are good at making great videos, you can earn from them because their customers are requesting a lot from both HD and 4k video content, with location-based, driving shots, and green screen. People who are good at taking photos will also enjoy earning from this website, many of their customers like the authentic images that include the local scenes, cityscapes, landmarks and families. If you are an artist, vectors are in high demand like icons, those textured backgrounds or illustrations. This is another way to make extra income online. Dreamstime is known for their stock photography and a legitimate supplier of quality digital images. If you have an art in taking photos and has a good digital camera, you can earn from them too. All their images are reviewed and approved by experienced editors before they are posted for sale. They accept photos, illustrations, cliparts and vectors from artists around the world. Fotolia is known as an image bank, offering millions of images, vectors, illustrations and video clips helping their customers enhance their reports, ads, websites, brochures, and slides. Indeed, there's a lot of competition when it comes to submitting these types of content, but there are also a lot of customers around the world who need to purchase thousands of photos, videos, vectors, illustrations, music and sound effects every day for various reasons. Once you upload your work to millions of buyers around the world, you are also showcasing them all your work 24/7 and may have a good chance of earning a little more money online. Make money from your skills and talent at Fiverr. You can offer your services such as designing, sketching or anything that the buyer would like, such as making a personalized business card, painting a digital product, designing an ebook cover, creating a podcast or short song, and so much more for five bucks per order. Fiverr gets $1 and the seller receives $4 per gig (work done). The feedback and reputation from a seller are essential parts of their marketplace. Seller ratings and levels including the feedback from the buyers are also important to the buying and selling experience, so after a gig (work) is completed, the buyer will rate the experience working with the seller and leaves a feedback. Buyers can also post the final version of their order that were received from the sellers. For sellers who maintain high ratings and constantly deliver high quality services will earn new levels of status. They will start as beginners, then advance to Level 1, Level 2 and up to Top Rated Seller. If you're an expert about a certain field and want to share this knowledge, you will enjoy being an online tutor at Tutor.com. You can earn extra income while tutoring subjects and work from home. College students, teachers, and professors can tutor Science, English, Math or Social Studies for kids and Calculus, Physics, Chemistry, Finance, Economics, Accounting, Language Learning, or Nursing for adults. Tutors work as independent contractors and can earn around $10-$15 per hour but this is also based on the subject and the hours that they are going to work. Those active tutors can earn anywhere from $500-$1,500 a month. Online tutoring is in high demand and is helping parents to instantly avail of the needed services for their children in another way compared to traditional tutoring. There are many subjects in which you can find a tutoring job that could be right for you. All you need is a computer and high speed online connection to get started. There are online tutoring sites where you can apply like tutor.com, universitytutor.com, jobs.rosettastone.com & smarthinking.com. Udemy is known as an online learning marketplace in the world, where millions of students are taking various kinds of internet courses. They have more than 25,000 online courses that are taught by expert instructors that are available on-demand, in order for students to learn at their own time and pace using any device. If you think that you are an expert in a particular subject, you can create and utilize their very helpful course design tools to make your own online course. At Udemy, you can teach anything you like and reach millions of students worldwide in a very big online learning marketplace. You can earn a good amount of money and help the lives of students improve by imparting necessary insights to all of them. You can keep 100% of the revenue when you promote your own course. Udemy will only keep 50% when they help you promote your course. They handle all the customer service, payment processing as well as the hosting fees, so you do not need to pay anything. They'll also give you the freedom to teach your subject or topic in your own style, and become innovate over time. They will allow you to build your own courses on your own free time using free and ingenious course creation tools. Udemy will let you control and own the rights to your content as well as shape your brand with complete control over your online course. You can also enjoy participating and communicating with students on your own terms with course management tools. They have a good support where you can get the answers you need with any time of the day, 7 days a week. You can visit Udemy and click "Become an Instructor" located on top of the right corner on their website's page once you are ready to share your knowledge. You can start earning as an instructor. Tech support providers provide different types of technology related customer service and they will answer various questions coming from customers. A tech support provider is a person who can translate our technology into a language that the average people can easily understand. If you think that a tech support is the right work-at-home job for you, then there are some legitimate companies that you might want to apply to, like Apple. Become an Apple At Home Advisor. You can work from the comforts of your own home and make a difference. You place your creativity and passion to work for the products that are known and be the friendly voice of Apple when customers contact you with questions about their products. You'll listen to their inquiries and needs to work with them to find solutions. You shall work independently from home with the discipline and ability to work by yourself. As a home advisor, you will receive various perks that you can enjoy without ever leaving home. You can save a lot of gas, work with your pajamas and receive fantastic benefits, employee discounts, as well as the opportunity to grow with Apple. They will also provide you with an iMac to use while you are working from home to make your job easier and convenient. There are many legitimate survey websites that you can join online such as SurveySavvy where they are offering a new promotion for US members who can earn up to $60 for enabling digital tracking on their internet connected devices. You can easily participate in the market research by surfing the web with SavvyConnect. Installing this application enrolls you in their behavioral research panel, where you can receive additional, paid research opportunities. It sends them information on where you go and what you do online. They aggregate that data to provide behavioral metrics, like what website and TV shows people watch online, where people basically shop online, what people search for, and other similar insights. If you install it and is active on your computer or portable mobile devices, then you become a part of the panel in their community but if you think that it's kind of creepy then you can just participate at other survey sites. There are more legitimate survey websites that you can join online such as My Survey, Opinion Outpost, Survey Head, Valued Opinions, or Pinecone Research. 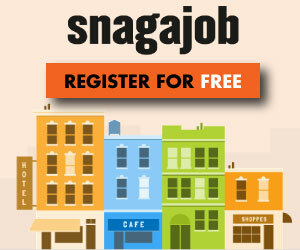 You can sign up for free to take some surveys about products and services and get paid for it. Some websites usually pay about $5 per completed survey and will send you a check or directly deposit the amount to your PayPal account. They will also allow you to select gift cards or merchandise once you reach $10-$20 in your survey account. Never participate in any survey site that charges a fee up front so that you can participate in it because this is truly a scam. Taking 5-7 surveys per week during your free time may bring in $20-$30 per month although it is time consuming too compared to other ways of earning money online. A lot of young people may enjoy this type of extra pay compared to the older crowd. There are websites like Swagbucks.com where you can easily earn Swag Bucks when you search the web, answer surveys, watch videos, discover great deals, play games or shop on your favorite stores. These Swag Bucks can be redeemed easily for cash or gift cards to your favorite stores and it is free to join. If you do not want to receive prizes, you can easily trade your Swag Bucks points for deposits into your PayPal account. Swagbucks.com is a rewarding way to spend your time online and you can increase the number of points that you can earn by installing their Swag Bucks toolbar on your computer. If you are creative in making unique handbags, jewelry, pottery or other crafts, you can sell them on Ebay or Etsy. A lot of shoppers around the world are looking for things that are rare. These two websites are very famous marketplaces for handmade items, vintage goods and craft supplies that you can't find anywhere else. You can open an Etsy shop for just $0.20 USD, build a creative business on your own terms and reach many customers online all over the world. You can start selling on Ebay too by opening a free individual seller account. Artist Rising is part of Art.com, Inc., an established web company with millions of customers and providing a global platform for artists. It offers a central location to showcase and sell various artwork across a broad network of Art.com websites. They help open the doors to your home art studio, offering you a world stage to exhibit and sell your work, connect with different artists worldwide, and reach art collectors and active buyers to show them what you have to offer. With Artist Rising, artist members get the dedicated resources of Art.com, Inc., a unique gallery to show and sell your artwork, full access to their famous marketplace, and potential exposure to one of the largest online markets of art buyers in the world. Art Rising has gallery tools that are easy-to-use and personal online galleries that you can customize in order to complement your art. They also have sales and marketing that features your latest work. Their membership is totally free. If you search for something in any of the search engines, they may bring you the good results. However, they are not specific and accurate enough and this is the reason why search engine evaluators are needed for. They will assess those results that come up in search engines. This kind of work generally pays around $10 up to $20 dollars per hour. You may check Leapforce if you are looking to work as a search engine evaluator. They are looking for highly educated individuals for an exciting work from home opportunity and they want their applicants to be self motivated and internet savvy. This is also an opportunity to test as well as develop those search engine results for the largest internet search engine companies in the world. A web developer is a person who builds websites from scratch. This type of work requires a good knowledge about writing codes, html, etc. A lot of small and big business companies hire web developers in order to build and maintain those high traffic websites online. They are also hired to develop software for them. Many of the web developers today can earn anywhere from $80,000 up to $200,000 per year. Web developer jobs are in demand these days. You can post your resume for free to career sites like Monster, or The Ladders. If your passion is writing, you will enjoy this fun hobby and at the same time, make money too. Authors who had written books that were not yet published can independently publish them on Amazon through the Kindle Direct Publishing platform that can reach millions of readers worldwide. Once you are ready, publishing only takes less than 5 minutes and your ebook will already appear on the Kindle stores worldwide only within 24-48 hours. You can earn up to 70% royalty on sales to the millions of customers in the the world. You have the option to keep control of your rights including setting your own list prices. It is easy to make changes to any of your published ebooks at any time too. To publish on Kindle, all you need is to complete your account profile and have your own book file ready that has been formatted in one of the Supported Formats and they have a simplified guide in doing it. You have to log in to your account and go to your "Bookshelf". Review the "New Title Checklist" for things you will need to create a new title, and complete the fields in Step 1 of your book as well as Step 2 about "Rights and Pricing" so that you will be ready to publish. Once you have completed all of the required information, you can simply click on the check box in order to confirm that you have all the rights to publish the book file as well as the details that you have uploaded, and click "Save and Publish" to submit your ebook to the Kindle Store. It will only take about 72 hours for your ebook to be available for purchase online. Once your ebook appears on Amazon and if you want to make any changes on any of the metadata such as the author name, cover image, photos, or anything then you can expect to see the changes on the website within 48 hours. Please take note that many of the Work-from-Home sources that are listed in this article may not offer you a full time income. However, any of them can supplement your monthly income from the amenities of your own home. If you know of any better venues to add to the information that I had published here, please let me know in the comments section. The resources that are listed here are based on my research and are all legitimate. Nonetheless, if you feel that one of these business companies was listed wrong, kindly let me know so that I can edit or remove it. If you had a successful experience with any company that has not made it on the list, kindly inform me through the comment section, thanks. Everyone has a skill, talent or passion and combined with the innovative technology of today, people has a lot of opportunities to earn extra cash that they need in their everyday lives. You can always resolve to increase your personal and financial economy. Working from home also means that you are responsible for paying your own taxes. You have no employer so nobody will withhold them for you. If you try to build multiple passive income from different resources, then it could be a wonderful way to secure yourself financially for the future. Earning extra money online can help lessen your stress especially if you are not secure enough in the day job that you had applied for. Building an internet or online passive residual income is nice because this is just extra money that you do not expect where you can use to take a vacation or add to your retirement savings. However, you have to invest time and a little bit of money to build a passive income too but once you had built it, the work that is required thereafter will only be a lot lesser. The benefits of generating a passive income is liberating because you will have the freedom to select of when and where you wish to work. You can establish an unlimited amount of income that is not dependent on a 7 day and an 8-5 work week. Offering yourself a pay raise whenever you want by generating multiple income venues is indeed rewarding but most of all, enjoying more free time spending with your loved ones is the best thing that you can offer in this lifetime. Please take note that we are an affiliate so therefore try to do your own research when trying to apply or purchase any of their products or services when you are being directed to any of the websites coming from this web page. All these information, deals, coupon codes and coupons listed on our site are posted to help you so that you can save your hard-earned money and shop for more deals. All the information that are listed here is for reference only, therefore Coupon Sale Deals will not take responsibility for any loss as well as damages due to any of those promotional products or services that you will receive coming from any of our third party websites. Simple and Effective: Create your own $9,765 Ebay Business!